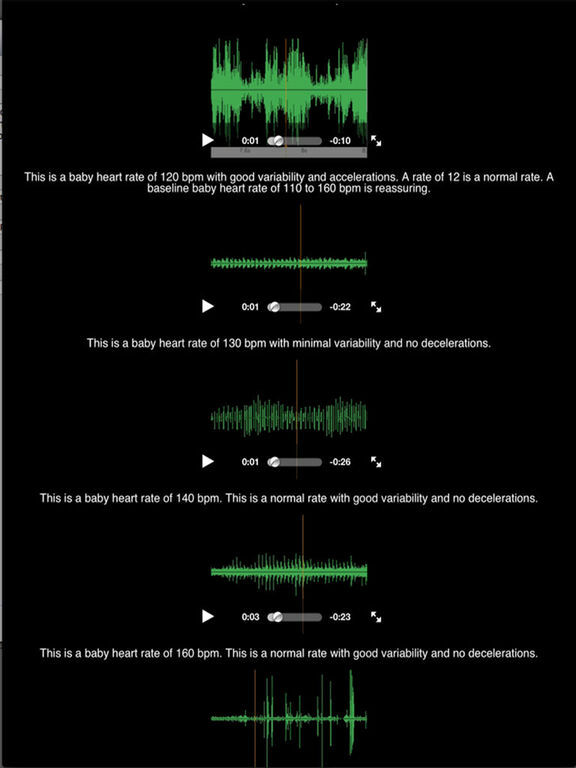 Baby HeartScope Doppler is the ONLY App that enables pregnant mothers to listen to their baby's Doppler heartbeat. Check the baby's heartbeat once a day. • Check your baby's condition daily. • Bond with your baby before he is born! 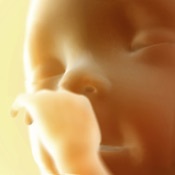 • See the doppler sound tracing of your baby's heart. • Hear your baby hiccup, swallow, move, kick, push, tap, and roll. • Predict if the baby will be a boy or a girl. 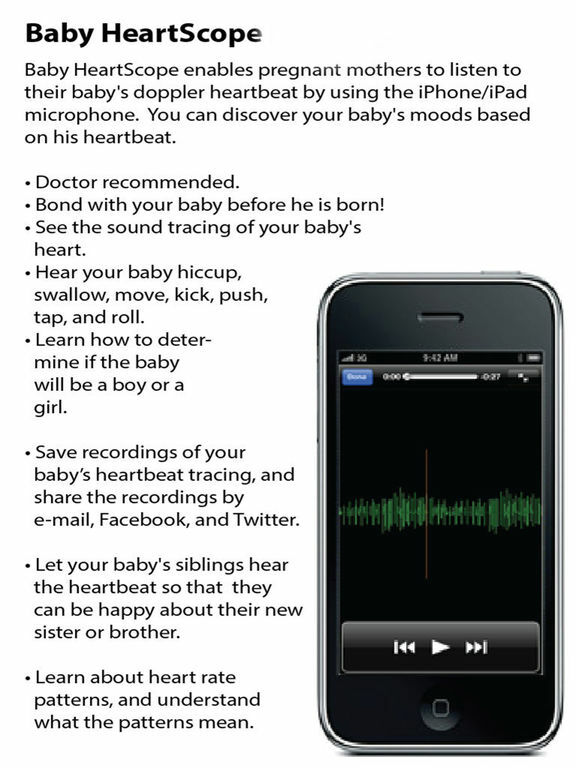 • Save recordings of your baby’s heartbeat tracing, and share the recordings by e-mail, Facebook, and Twitter. • Let the baby's siblings hear the heartbeat so that they can be happy about their new sister or brother.